TRAI chairman, R.S Sharma says that out of the nine crore users that have declared their channel preferences, 6.5 crore users have cable TV connections while 2.5 crore are DTH subscribers. TRAI chief told PTI that out of 17 crore TV viewers, 9 crore users have already migrated to the new scheme. Under the new scheme, users need to pay only for the channels they select to watch. TRAI's New rules aimed at reducing consumer expenditure on DTH services went into effect on February 5. While the effectiveness of the new guidelines can be debated upon, TRAI says out of 17 crore TV-watching consumers, nine crore subscribers have opted for the new scheme and selected the channels they want to watch. PTI reports that the regulatory authority is also keeping tabs on the situation so that users don’t face any issues. TRAI chairman, RS Sharma says that out of the nine crore users that have declared their channel preferences, 6.5 crore users have cable TV connections while 2.5 crores are DTH subscribers. "The speed (of onboarding) has increased as per our data and we expect the rest of the people to also register their choice of channels soon," Sharma tells PTI. "Out of the total 17 crore TV homes (which includes 7 crore DTH homes and 10 crore cable TV homes), about nine crore homes have already registered their choice with the operators, which is a big number," he adds. Additionally, since most DTH users opt for long-term recharge plans, Sharma expects more users to select the channels they want to watch under the new tariff order when their current plans come to an end. "We are guiding and helping the operators where ever required and are calling regular meetings to clarify matters," Sharma says. TRAI is said to be planning on taking steps for doubling down on customer outreach and awareness programmes. As Sharma says, "TRAI will take up a massive campaign on consumer awareness, through social media, print, advertisements, jingles and other programs." TRAI’s new mandate states that network broadcasters announce individual prices of channels. Viewers can then select and pay only for the channels they want to watch. 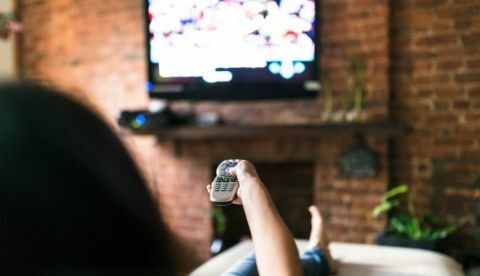 TRAI recently asked digital cable providers to come up with plans for households that have multiple digital TV connections and stated that even if there is more than one TV connection in a house, users should be able to select channels individually for all of them. Additionally, cable and DTH providers can also waive off the Network Capacity Fee on other connections in the same household, if they choose to do so. However, they will need to offer such discounts uniformly in a location and announce it clearly on their website. Will new DTH Channel rules make TV watching cheaper or more expensive?